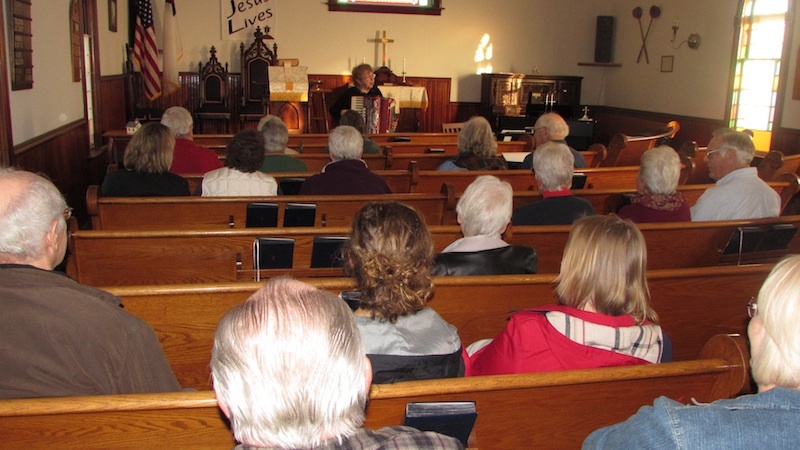 About 30 people attended the society's annual sing-along Nov. 8 in the 1895 Riley Methodist Church. 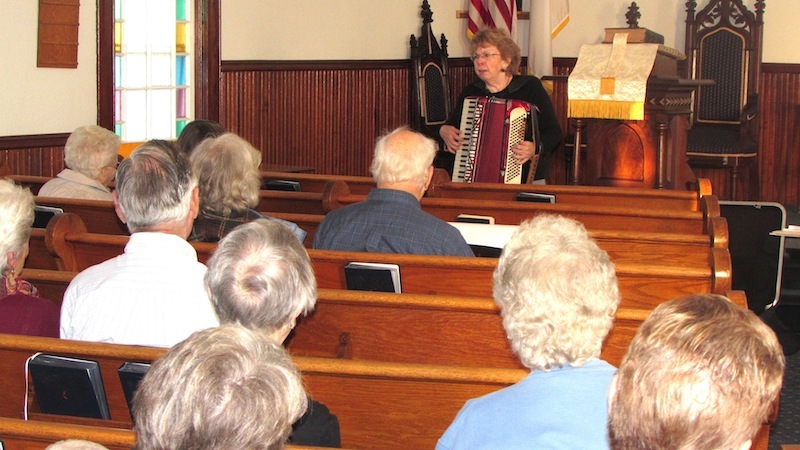 A special thank you to our musiican/facilitator Mary Ellen Heelan, a board member from Cary, who not only donated her services for the afternoon but did a stellar job on both keyboard and accordian. Also, thanks to volunteer Janet Hayes for her assistance in readying the church and helping with refreshments. And, finally, thanks to everyone who spent a couple hours on a beautiful November day raising their voices in song – from hymns to Broadway favorites. Your generosity in the "offering plate" raised nearly $60 for the Society!